Just a checkup this time. Visit and care we’re fine. Always a good experience. Staff is friendly and informative. Dr. E is funny, friendly and an amazing dentist. No pressure, treatment plans with pricing up front. Love Dr E. He's gentle, kind and quick! Very professional, compassionate, attentive, prompt! Dr. E and his dedicated staff worked promptly and diligently to fix my temporary crown during an emergency. As always, they were happy to help and I’m sincerely grateful for their excellent service! Dr. E has years of experience and is very trustworthy. He is always on time. His staff is kind and helpful. There is no high pressure sales going on. Just great healthcare! 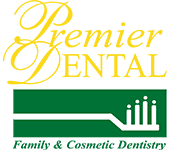 I have been a patient of Dr. Ebrahimiah for many years and have only great things to say about the entire staff of Premier Dental. Dr. Akbar takes pride in his work. My son had chipped his 2 front teeth after a fall and he saw him immediately and fixed the teeth so well that he walked out of the clinic as good as new. He even matched the color so well that you cannot tell that his teeth are fixed. Our family has been with him the last 8 years and are very pleased with our overall experience. He is great with kids! Awesome Dentist... Dr.Ebharahim is Very professional and Straightforward of what needs to be done. My kids love having you as their dentist. They have been coming to you since they were little. I really like this dentist and the staff. Friendly, knowledgeable staff, Dr. E friendly, funny and tells you exactly what services are needed. Not pushy just informative. Great Dentist. They are very professional,caring and nice.